Sunrun is one of the largest solar energy providers in the east and west coast. But the category is currently in a shouting match of money savings. 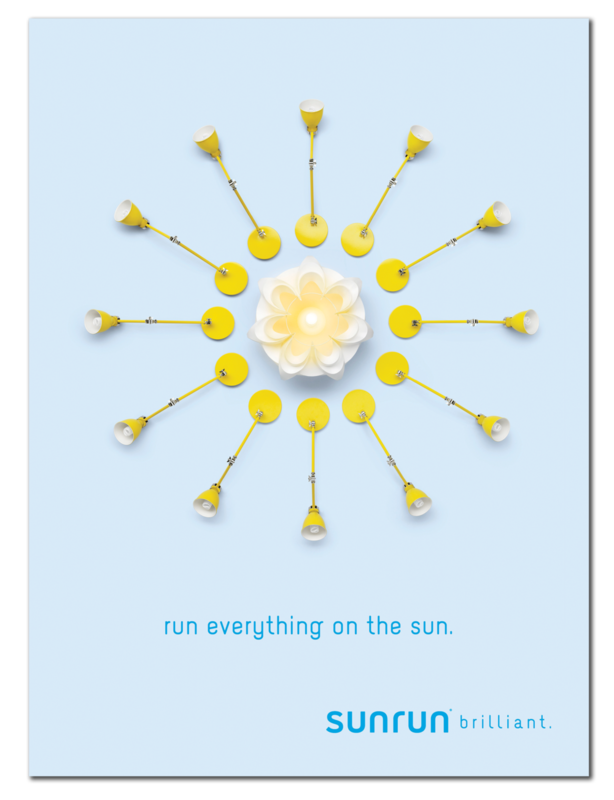 We decided the best way to make a difference was to create a brand campaign that separated Sunrun from a crowd that seems very down scale. I worked on this as the CD along with Gong Liu (AD), Deidre Lichty (CW), and Chuck McBride (ECD).